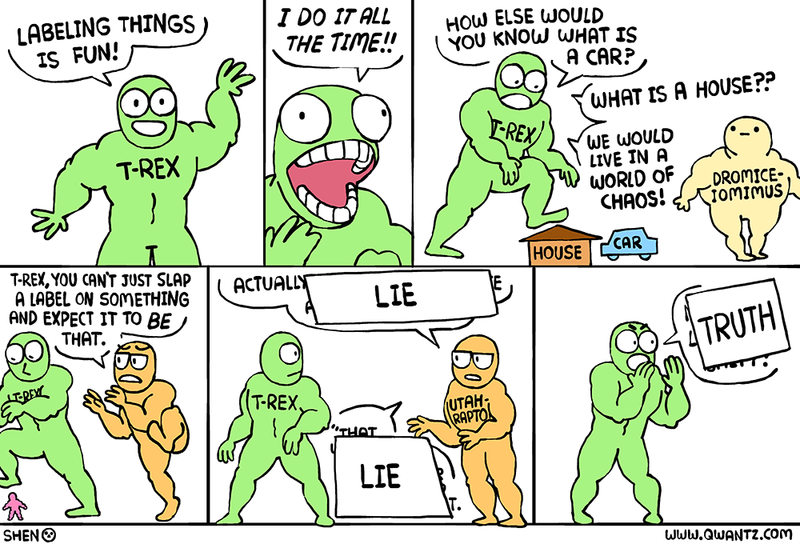 Dinosaur Comics - March 22nd, 2019 - awesome fun times! –Figured I'd be a little more like our mutual friend, you know who! special guest comic by Shen of Shen Comix! March 22nd, 2019: I've had some minor hand surgery this week, so to, uh, celebrate (?) that and give my hand a break: here is a guest comic!! It is by the incredible Shen of Shen Comix and I hope you will like it. Shen draws the best labelled buff dudes and if you draw labelled buff dudes then I'm sorry but you're in second place.